Railpictures.ca - Craig Allen Photo: CP 2270 leads CP 3119, CP 2276 and 28 cars across the swing bridge and over the Trent-Severn Waterway in Peterborough. | Railpictures.ca – Canadian Railway Photography – photographie ferroviaire Canadienne. 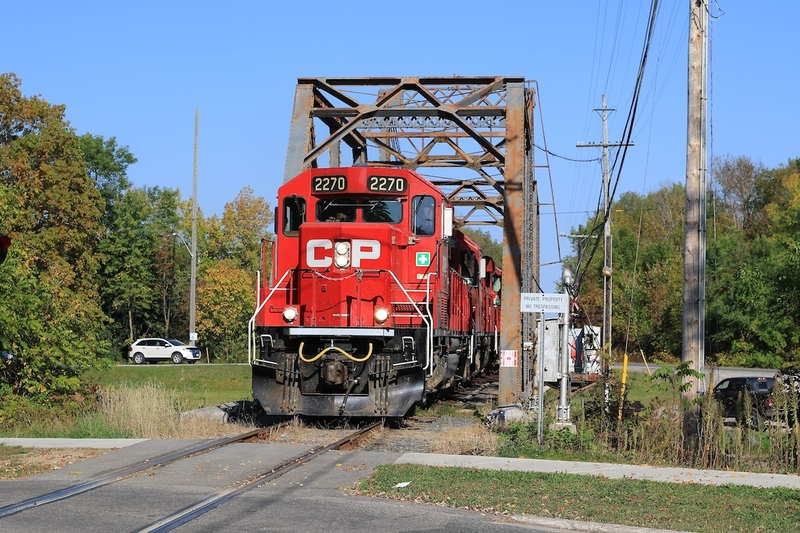 Caption: CP 2270 leads CP 3119, CP 2276 and 28 cars across the swing bridge and over the Trent-Severn Waterway in Peterborough.